Although we are based just outside of Phoenix, A Child's Joy has been creating Birthday fun for Kids all over Arizona since 1990. We have created some new special party packages for our friends in Tucson. If the only thing you need is a Bounce House or some Balloons we know that it makes more sense to book with some one cheaper. If you are looking for an amazing Birthday experience with Pony Rides or a Petting Zoo and other Party Rentals, or Water Slides then you can be sure we'll add fun and quality to your child's special day. 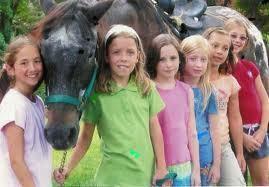 We offer a full Pony Ring for School Carnivals, Church Events, Grand Openings and Company Picnics. For variety or a larger group add a Petting Zoo. We offer a wide variety of Carnival Rides & Inflatable Games too. Call us at 480-820-8030 for details specific to the Tucson area. We will work with you to create the best Carnival or Company Picnic yet. Bandanas. We now offer Cowboy/Cowgirl or Pony Party supplies! We are a full service entertainment company and in addition to raising and training our own Ponies and Petting Zoo Animals, we own and operate a complete line of Carnival Rides, Bounce House Rentals, Inflatable Games and Water Slide Rentals in Tucson. Because of this we can offer discounts when you add a Petting Zoo, Clown orBounce House to your Pony Rides. Call us today or reserve your Party online right now.